I was recently browsing Ycombinator News. It is always an endless trove of the curious & interesting. I stumbled onto Karanbir Singh’s post The Portable Cloud. I was curious, what is that? This story gave me warm fuzzies… I was excited in a similar way when Linux was first released. This was many years back through the mists of time in 1992. I had recently graduated computer science, and one of my favorite classes was Operating Systems. We worked to build an OS following Andrew Tennenbaum’s book Minix. After graduation, I heard about the Linux project & got excited. I was hearing whispering online that Linux could really completely replace windows. So I bought all the parts to build a 486 tower, graphics card, motherboard, memory cards & IDE drives. This ran into the thousands of dollars. Hardware wasn’t cheap then! Keyboard & monitor. I even ordered an optical mouse because it felt like you were sitting at a sun workstation, at home! 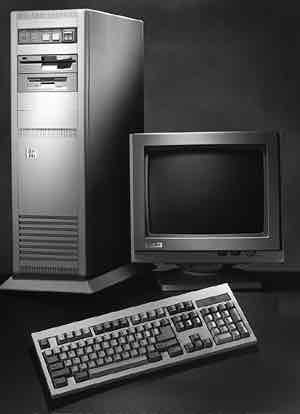 I remember putting all this together, and loading the first floppy disk into the thing. Did I image the disks properly? Will it really load something? From there I had init running, and soon the very seat of the soul, the Unix OS itself. That felt so darn cool. After that I’d spend weeks configuring x-windows, but to have a GUI seemed like the mission impossible. And then you’d go about tweaking and rebuilding your kernel for this or that. Thank you to Karanbir for rekindling this memory. It’s a great one! For those starting out now as a developer, operations, or cloud site reliability engineer, I would totally recommend following Karanbir’s instructions. Here’s why! My favorite thing about building a server myself, is that there’s something physical going on. You’re plugging in a cable for the disk bus. Bus is no longer just a concept, but a thing you can hold. You’re plugging in memory, you can look at it & say oh this is a chip, it’s different than a disk drive. You can hold the drive and say, oh there’s a miniature little record player in there, with magnetic arm. Cool! Another thing I remember about those days, was feeling like I was part of something big. I knew operating systems were crucial. And I knew that Windows wasn’t working. I knew it wouldn’t scale to the datacenter anyway. I realized I wasn’t the only one to think this way. There were many others as excited as me, who were contributing code, and debug reports. Related: Did Airbnb have to fail? Building your own server involves a ton of debugging. In those days you had to compile all those support programs, using the GNU C compiler. You’d run make and get a whole slew of errors, and fire up your editor and get to work. Configuring your windowing system meant figuring out where the right driver was, and also buying a graphics card that was *supported*. You would then tweak the refresh frequencies, resolution, and so forth. There was no auto detection. You could actually fry your monitor, if you set those numbers wrong! These days you hear a lot about “fullstack engineers”. There is no doubt in my mind, that this is the way to become one. Basic systems administration requires you to compile other peoples software & troubleshoot it. All those developer skills that will come in very handy. They force you to see all the hardware, and how it fits together into a greater performant whole. It also gives you an appreciation for speed. Use one bus such as IDE or another such as SCSI and experience a different performance profile. Because all that software that Unix is paging in and out of memory, it’s doing by reading & writing to disk! I’ve argued before that being a generalist allows you to better scale the web. I still think this, and I believe it is this formative experience building servers from individual parts, that taught me whole the larger whole fit together. This allows me to look at problems today, and jump to causes of performance problems quickly. Also: Does Volkswagen highlight the bloodsport in benchmarks? Previous PostPrevious Are software benchmarks to blame for Volkswagens woes? Next PostNext Are frameworks a shortcut to slow bloated code?